Along with Hosta, Mason Hollow Nursery also offers great selections of Ornamental Grasses, Heucheras, Wild Flowers, Ferns and selected Trees & Shrubs, collectors's Conifers and many other selected Perennials. Visitors are welcome to stop by and tour our several display gardens showcasing many of our unusual offerings. 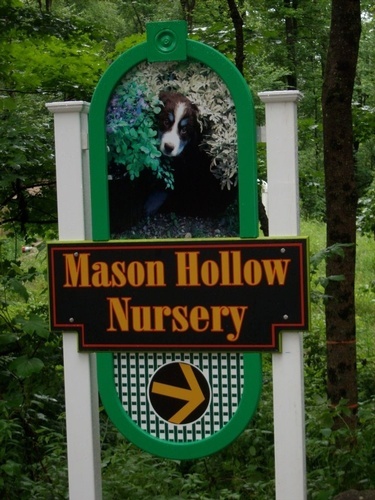 Our nursery is located in Mason, NH just a short country ride (1.6 miles) from Parker’s Maple Barn Restaurant. We guarantee top quality plants for everyone from the novice gardener to the collector!